Oyegun working against me in APC —Tinubu – Royal Times of Nigeria. 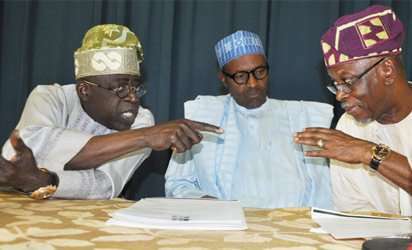 Bola Tinubu, National Leader of the All Progressives Congress (APC), has accused the national chairman of the party, John Odigie-Oyegun, of working against the progress of the APC. Tinubu in a letter dated February 21, 2018, specifically accused the national chairman of festering the crises through unilateral decisions regarding the crises in the Kogi, Kaduna and Adamawa chapters of the party.